Amy Joyce's essay in All Woe Great and Small provides a crystal clear picture of what life's like with a bulimic, yet obese cat. Your essay is about your bulimic obese cat, Monty. Tell us. What's going on with Monty these days? Monty is still occasionally leaving me little surprise puke piles in various locations such as on the rug, windowsill, and the couch. He does have an upcoming vet appointment, and I am crossing my fingers that he has lost some weight. But not too much, he makes a good pillow. If you were an animal, what kind do you think you'd be? I would love to be an animal that is spoiled and cuddled, but I think I would probably be a giraffe because I also have a long neck and do not eat meat. If you could have one superpower, what would you pick? Why? I would like to be able to go anywhere without actually having to get on a train or a plane. Blink! and I am there. Promote yourself! Where can we find more of your work? Thomas Tulipani's story in All Woe Great and Small confirms that there are really three absolutes in life: death, taxes, and indigestible pantyhose. Your story is about your dog's strange appetite for women's hosiery. Can you share another funny story about your dog? Along the lines of eating things he shouldn't - he liberated an opened bag of chocolate raisins off of the table in the kitchen one day. Later in the week, as I was mine-sweeping the backyard, I noticed several rain-diluted piles had some nice shiny flecks of aluminum foil scattered within them. You are also a cartoonist. If you could have lunch with any cartoon character, who would it be and why? Probably Jason Fox from Fox Trot. He reminds me of myself in many ways. If Hollywood was to make a story about your life, what would it be titled and why? When I was 11 or 12, I planted a kernel of corn in our garden and eagerly anticipated reaping the corn once it had grown. When it was ready, I picked the lone ear from the stalk and phoned my mother for instructions on how to cook it. Her directions were to "fill a pot with water, put it on the stove and turn it on to boil." I did the first two things, but as I surveyed the dials on the back of the stove, I read "bake" "broil" but no "boil." Perplexed, I phoned her back and asked the now infamous question (in my family), "Where's boil? My family has taken many opportunities to tease me about this. I've since become a pretty decent cook to the point where my wife suggests I should become one. Promote yourself. Where else can we find more of your work? I have an eBook for sale on Amazon Kindle titled "Reflections of a Punstar, A Pun-O-graphic Collection" which contains my original comics. Many of these same comics can be seen on my website www.Punstar.com, WheresBoil on Facebook, and @WheresBoil on Twitter. 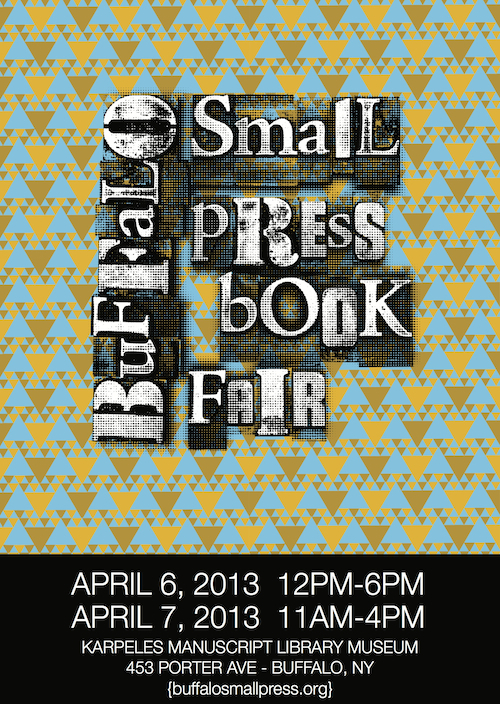 Mug of Woe at Buffalo Small Press Book Fair! Hello Woe fans! 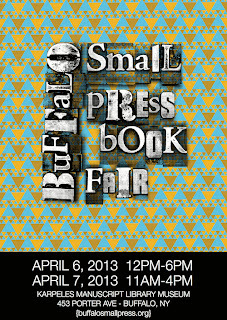 The Mug of Woe book series will be at the Buffalo Small Press Book Fair, April 6-7! More news as the festival approaches! In Mug of Woe: Wreck the Halls, Renata Roskopf proves that some holiday memories linger in your heart, your mind, and on an egg-stained door. Your essay is about a Halloween that "lingered." Tell us about another memorable holiday. 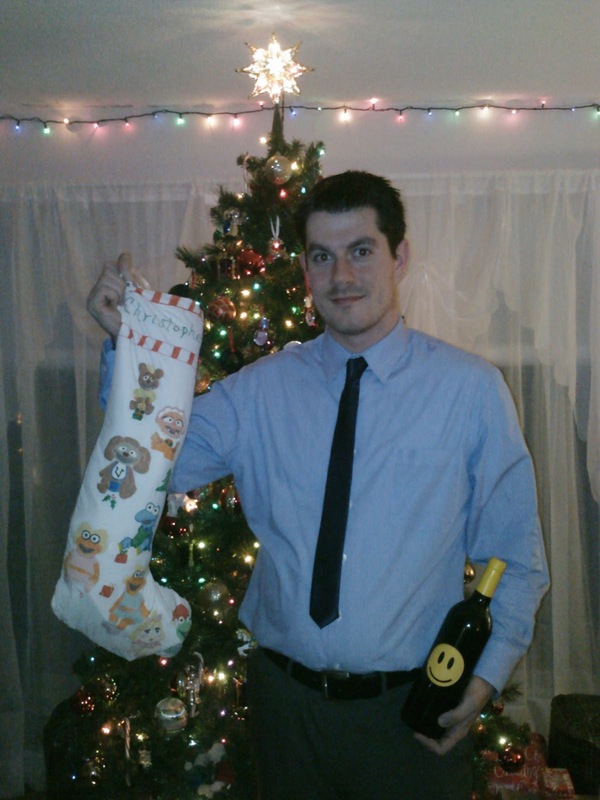 Rather than a holiday, I’ll tell you about my brother's earliest birthday I remember. Of course, a tangible photo album helped answer this one. Remember those heavy things that sit on your lap? No Santa, not kids! Anyhow, in the photo, my brother, a year older, whose birthday is a month earlier than mine, is smiling that gigantic smile kids have when they're surprised. His smile’s so wide in fact, you’d wonder how such a small face can contain all those teeth and outstretched lip, while maintaining angelic countenance. He is a smile, beneath wisps of blond and two blue eyes, while floating atop a pair of plaid pants. I, on the other hand, am leaning into the table, that is not only supporting me but also a cake, goodies and decorations. I am plastic-made curls and a face, red as some of the decorations. Apparently, I had been crying as if every boogey-monster haunting Halloween, paid me a personal visit. In fact, I was too young to have fully realized that our birthdays, although close, were separate occasions. I vaguely remembered the prior year, when I got presents, so this might have thrown me for a loop. Maybe, I didn’t understand the concept, after all, I was only into this life thing for couple years yet. I remember my father leaving and returning with an inexpensive red and yellow plastic robot that I removed from cardboard backing. When you pressed a button, it shot spirals off of its chest. It apparently also cured a case of I’m-a-toddler-and-it’s-another-toddler’s-birthday-woes. That’s when I learned that robots can be lovable, if you treat them with care. And flinging things? Good for the soul. Tell us about another prank you played or one that was played on you. Here, I will change names, other than my own. When I was about 9, I played with two sisters who were older than me. One was always trying to sing like Madonna. She claimed she looked like Madonna. She was Brunette. Most would agree, she sounded a bit nasally, but she was pretty and womanly looking for all of her 11 years. She even snatched her mother’s brown eyeliner to draw a mole above her lip on occasion. For the purposes of our street, she was Madonna. (In case there is any confusion up to this point, I mean the singer, of course.) We jumped rope and played kickball but “Madonna” usually wanted to rope both me and her older sister, Chrissa, into informal beauty pageants. One day, I gave in. Her brother, Paul (again, this is a pseudonym to spare his I-don’t-know-what), for lack of a swarm of participants, was judging. I had no make-up, unless I sneaked my mom’s ancient expired makeup, or used water or even, ewww saliva, to moisten the colored powder that came with my Barbie doll head to get ready. (These were the almost life-sized heads you could practice hair and make-up on. Barbie is her real name. )This was tougher than I thought. Chrissa offered to do my make-up if I brought what I had down. Yippee I thought. Needless to say, in a few short minutes, I lost the beauty contest, despite Paul's dysfunctional crush, slash desire to put things from the street into my mouth. He once almost burned the back staircase down.I can laugh about this little prank now. When I went upstairs, I had green cheeks and red shadows on my eye lids. Almost dripping in the summer heat, the colors knew no bounds. Hot. If Hollywood was to make a movie about your life, what would it be titled? This is a tough question. Maybe my name, it's not too common and as a bonus, it might help save spelling time with telemarketers. Promote yourself. Where can our readers find more of your work? My poetry can be found in “The Boston Poet” and “The Watermark,” the UMass literary Magazine volumes 1994– 1997. As early as 1991, I participated in The Boston Public Schools, High School Zone Writer’s Conference held at The Boston Globe.In 2011, I participated in the Cambridge Poet Populist Poetry Festival and have also read at La Luna Café and Out of the Blue in Cambridge, MA. Two years ago, I helped a team of wonderful people write and put together a short film while learning a lot in the process through RIFC. Other than that, I’ve drafted countless legal documents, devoid of as much humor as possible. If people sneak into my room, they will find countless pages of works in progress. If you had any delusions that Norman Rockwell was right about the good ol' fashioned family holidays, Christopher Griffin's essay in Mug of Woe: Wreck the Halls will knock that foolish notion out of your head. One of your Woe stories is about life-changing announcements at the holiday dinner table. Will you be making any announcements at the Christmas table this year? You know, I was really hoping that the whole "end of the world" prophecy would have finally come true after so many misleads in recent years. At least, this time, it would save me from having to attend the annual family holiday gathering. Maybe I'll bring whatever girlfriend-of-the-week I'm seeing and faux-propose to her on site, or maybe my ego will get the best of me and I'll just constantly remind any and everyone who cares to listen that I'm a published comedy writer and they should be grateful that I'm even gracing them with my presence. Regardless, as with all things, I'll probably just wait until the last possible second and then flip a coin. That's completely rational, right? You claim you have the unenviable role of 20-something serial dater. Tell us about one of your worst blind dates. I've never been on a true "blind" date before. A couple of months ago, though, I was at a concert with a friend of mine and ran into a girl who I had been courting for the better part of the year. 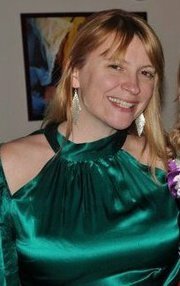 She and I had gone on three or four pretty good dates but for whatever reason, those dates would be spread out by weeks, and sometimes months, and they would often occur after we would randomly run into each other at a bar while one of us were out with friends and the other was on a date. Anyway, so I run into this girl at a concert I'm at, and it's funny the way it happened, because I saw her approach the bar without realizing who it was, and I interrupt my friend while she's in the middle of telling me about a guy she met. "Hold that thought. The girl who just ordered drinks at the bar is totally my type and I want to meet her." So I approach her and try to play it casual, as if I'm there for a drink and not to meet her. We both turn to each other and make eye contact at the same time, and of course it's this girl who I had gone on several dates without ever officially "dating." As if to abide by the same script we've gone over for months when we run into each other in the most random of places, she tells me that the reason I hadn't heard from her was because she had gotten back together with her ex-boyfriend. We hug, share a kiss for old time's sake, and part ways. As if my life hadn't found contentment enough in reminding me, time and again, that it's a caricature of itself, I pass her by as I'm walking to the men's room during the headlining band's set, and she's laughing it up with a girl who I hooked up with months prior. Regardless, my Twitter account the next day was rather entertaining, as I was getting harassing messages from a girl who I didn't know, never saw before, and never met, telling me what an awful person I was for my affiliation with the two of them and suggesting that I shouldn't have been at the concert. I guess that's the closest thing I've got, in terms of worst experiences that shine a light on why my dating life is so unenviable. For more stories of my dating experiences, ones that involve actual dates, with women who wish they were reality TV stars and have openly admit to having dated me because I looked "just like their ex", The Woes of Dating releases in the spring of 2013. I'm not even sure that's what the eventual title will be, but I think it has a nice ring to it, so I'm pitching it. Woes of Dating. Spring of 2013. It's coming. Self Made because everything I am, and all that I've accomplished (as little as that may be), is the result of my drive, my ambition, and my refusal to listen to the "logic" of family and friends. I believe that fate comes down to the hand that we're dealt in life, and I just hope I'm blessed to live long enough to be dealt that ever-elusive winning hand. It's coming. I know it is. I have a couple of notebooks which are full of concepts and ideas for sitcoms and screenplays. I'm currently trying to figure out how to effectively work on a screenplay while juggling two completely separate jobs in the workplace. It's not easy. In fact, can we find someone interested in making a faux-documentary that would be interested in filming my latest idea? It's tentatively titled "How to Effectively Work on a Screenplay While Juggling Two Completely Separate Jobs in the Workplace." No. I'm hoping to have a first draft of a screenplay (a rom-com, naturally) completed by Christmas. In 2013? I'd like to try my hand at a web-series. I have a few ideas for those, one of which may or may not involve decking small children out in zombie makeup and having them run amok. I think that is a proverbial gold mine.